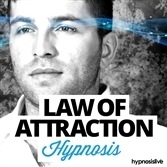 Embrace greater health and wellbeing, using hypnosis! 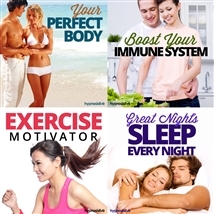 Adopt healthy habits, dissolve addictions and improve body image. View More. Do you find yourself blushing every time you're introduced to someone new? Want to be able to socialize more, without your beet-red cheeks holding you back? Blushing might seem cute once or twice. But when your face turns bright red of its own accord, it makes situations awkward. You get even more nervous than you already are, aware that everyone is staring at you. And the longer it goes on, the harder it is for you to stop it. It’s time to banish blushing from your beautiful face – and hypnosis can show you how. The Stop Blushing hypnosis session will help you overcome the anxiety and physical discomfort you feel when your face reddens! As you listen, powerful hypnosis and NLP exercises will work to rewire your brain to help you conquer social nervousness once and for all. You’ll discover hidden sources of confidence within you that will enable you to tone down your arteries, allowing you to relax in company whenever you want to. Never worry about your blushing red cheeks again! Download the Stop Blushing hypnosis session to switch off blushing and discard it for good. 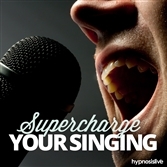 "As a psychotherapist and hypnotherapist, I highly recommend Hypnosis Live. It’s superior in quality, content and thoughtfulness."